Seniors (age 60 and over) and/or persons with disabilities (age 18 and over) on an advanced reservation basis primarily to destinations within Ocean County. Pre-registration is NOT required, just call us when you need your appointment. You may call Ocean Ride from 8:00 AM to 4:30 PM to make your trip reservation. We accept trip reservations on a first-come, first serve basis, up to (4) four weeks in advance. Trip requests are not accepted via email. All trip requests are to be handled by telephone by calling (732) 736-8989, then press “1” to speak with a Reservationist. The Reserve-A-Ride program is primarily designed to serve routine medical needs of Ocean County residents. Unlike the Fixed Bus Routes, this service does not operate on the basis of a printed schedule, rather routes and pick-up times are developed each day in response to the service requests we receive. 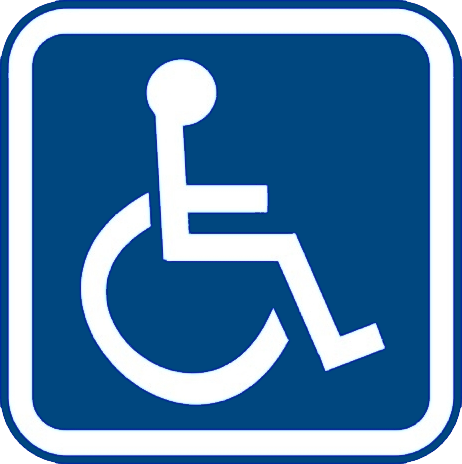 All vehicles are wheelchair lift-equipped. Once your reservation has been made, the driver will arrive anytime within 1 hour to 1½ hours of the scheduled appointment time (depending on your travel distance). In accordance with Ocean Ride’s Safety Policy, our Drivers are not permitted to enter your home, thus we require that you be at ground level for your scheduled pick up. Riders with PAAD* status must mail in a copy of their valid ID card to Ocean Ride before receiving the discount. Do you qualify for a 50% PAAD Card travel discount? Riders will be billed via mail, the month AFTER service. Absolutely NO CASH HANDLING on-board the Reserve-A-Ride vehicles. On weekends and after 4:30 pm M-F, our CANCELLATION HOTLINE NUMBER is (732) 736-8989 and then Press * 100. If your plans change, please remember to call our office to cancel. When calling after normal business hours, please use our 24 Hour Cancellation Hotline. Simply call (732) 736-8989, and then Press *100. Speak slowly and clearly, stating your name, date of trip being cancelled and your telephone number. If you wish to cancel or confirm your same day trip during normal working hours, please call Dispatch (732) 736-8989, and Press 2. The County of Ocean established a voluntary donation in order to comply with various grant-funding requirements. The suggested donation is $1.00 per one-way trip or $2.00 per round-trip for riders of the Ocean Ride (Reserve-A-Ride) service. Passengers may donate more or less, if so desired. Lack of giving a donation will, in no way affect one’s participation in the County transportation service. Recognizing that fares cover only a fair portion of actual transportation service cost, the donation policy provides a mechanism to accept additional revenue over and above fares. For your convenience, a supply of postage paid, pre-addressed envelopes are available in each Ocean Ride vehicle which you may use to send a donation. Checks should be made payable to "Ocean County Treasurer". Drivers are instructed NOT to accept envelopes or cash donations.